Welcome to Schiehallion B&B, having fantastic views to Portree and on to the Cuillins mountains, we are one and a half miles north of Portree. Guests are given their own keys allowing all day access. We are family friendly and all children of all ages are welcome. 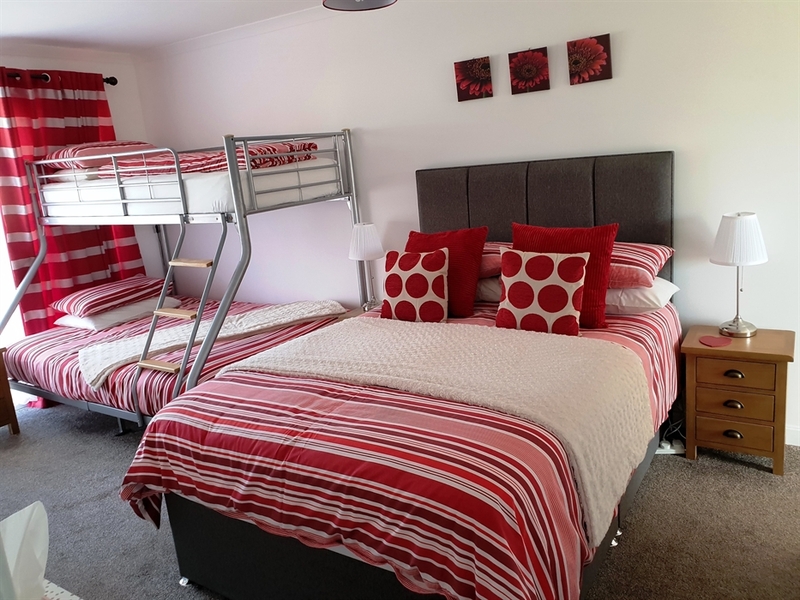 Schiehallion bed and breakfast accommodation is comfortable and spotlessly clean. Our Cuillin suite a true family room sleeps up to 4 & has a small lounge leading on to a decking area. All the rooms have a hospitality tray, Tea & coffee, a lcd tv with a dvd player and a hair dryer. A full Scottish breakfast to start your day. Free wireless Wi-fi In the Rooms. Room 2 and 4 have USB charging points. Garden with fantastic Panoramic Countryside Views and a picnic bench. We are a 5 minute drive from the center of Portree. Live availability and booking on our web site.